Thank you for visiting this area of Grand Lodge’s website which explains the charitable work of Scottish Freemasonry. 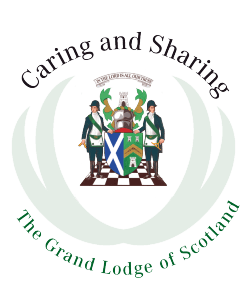 Here you will find details of the grant-giving activities of Grand Lodge and information regarding the Scottish Masonic Homes. Grand Lodge provides financial support for families and individuals with a connection to Scottish Freemasonry who meet the eligibility criteria. Support is also provided for external Charities, with each application being considered individually. Scottish Masonic Homes Limited is a wholly owned subsidiary of Grand Lodge and is a Charity registered in Scotland. The Charity operates two care homes, in Edinburgh and Bridge of Weir, which provide person centred, residential care and support for older people with varying needs. Sir James McKay House, Edinburgh; a care home providing accommodation for 22 older people. The Marcus Humphrey House, Bridge of Weir; a care home providing accommodation for 18 older people. We have prepared a short video with some more information on our charity work below.